Great recipe. Bread looks, smells and tastes great. Ideas very helpful. I did a couple of stretch and folds to give it some more structure. I think it helped but not positive. A little fondue is sounding good right now. This is a dynamite recipe with great flavor, and good moisture retention on the counter. Suggested modifications for the ‘ideal’ Pumpernickel will be welcomed. I don’t have a lid to put on my bread but I have a pizza stone. What do you recommend I do…? You can use a stone instead. I think the dough is stiff enough to hold up on its own. I’d probably lower the baking temp 25º and monitor the internal dough temp with an instant read thermometer so you know when it’s done baking. Charles, I’ve also heard of using liquid coffee and/or instant coffee in pumpernickel. Your modifications such as cocoa powder also sound familiar. During the bench rest, I left the dough uncovered, which allowed the top of the dough dry a bit. 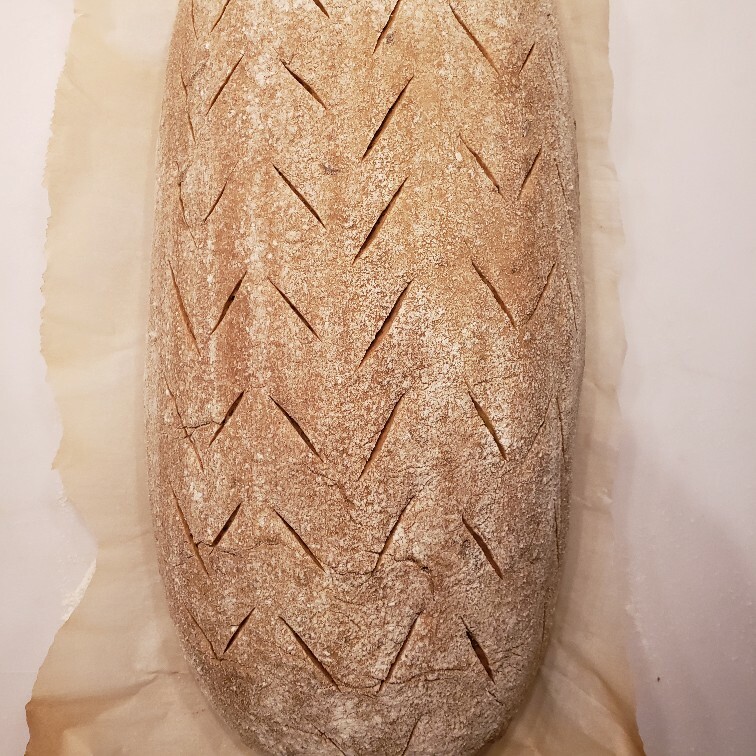 During shaping, I made sure that “skin” was at the top of the long batard–which then was flipped into the proofing basket (dry side down). The underside of the dough was still very sticky. I didn’t flour my proofing basket more than usual and had no problem with stickness - following the recipe to a T except that my whole grain rye flour was sprouted. My first boule of rye bread and it’s wonderful. 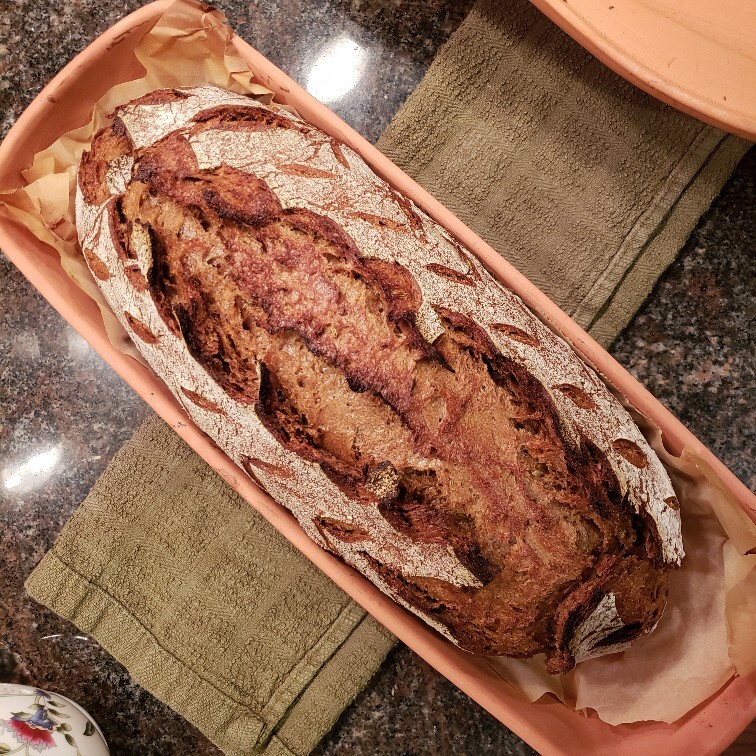 I used the sourdough starter and baked using a dutch oven (20 minutes covered/ 23 minutes uncovered.) The crumb is good and the taste excellent. 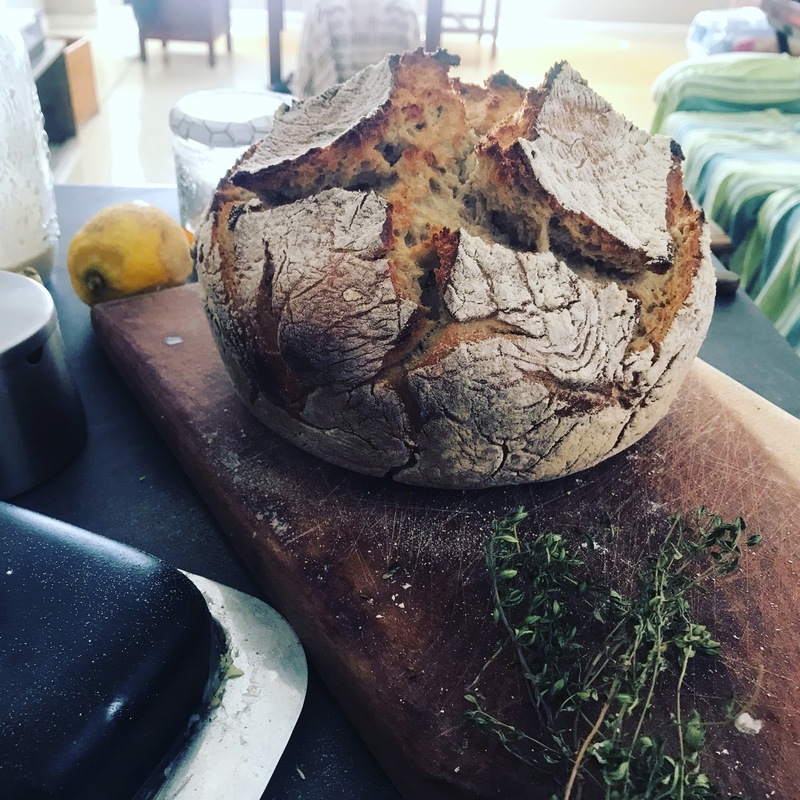 Made this bread this weekend. The taste is delicious and the rise was reasonable. The problem is the bread is way too moist/wet. I followed the recipe exactly, and baked as directed. I used a thermometer to test doneness. It registered 200 degrees but the tester stick was wet at the bottom. So it put it back in oven for 15 more minutes and then took it out because I was afraid to over bake it. Just trust your thermometer! This bread is very moist even after baking. I froze some and had a heck of a time separating the slices. 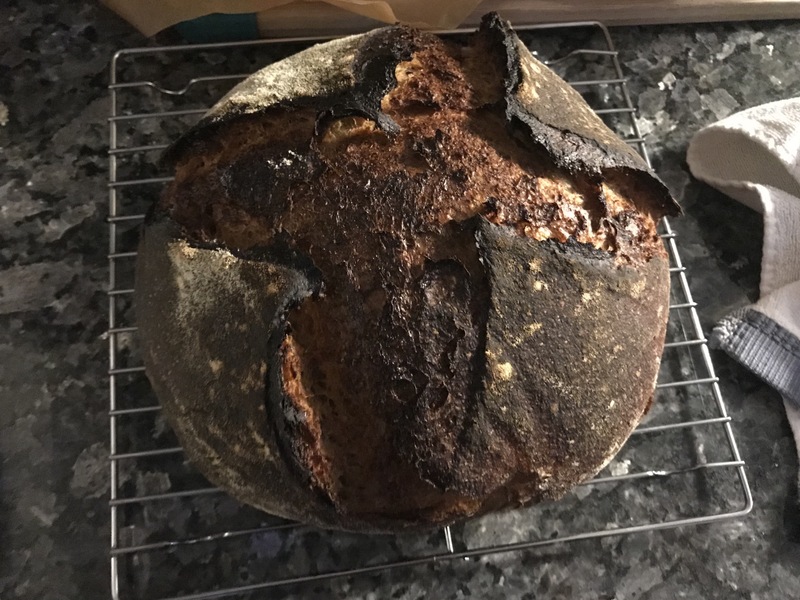 I did it - my first EVER sourdough from a starter I got from a friend on Sunday. The recipe didn’t work as expected but I’ve been baking enough to improvise, so it came out runny and with big bubbles then turned into a kind of runny glue when I tried to flatten and fold it. 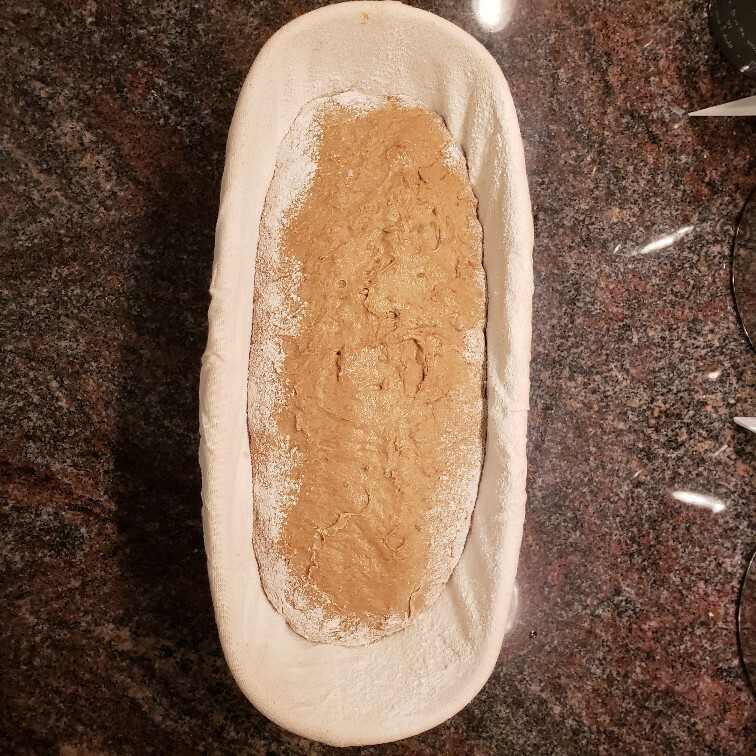 I added more bread flour and gently tossed it, then did that again a few times until it could be formed, then proofed once, then put in the improvised basket for a while, and then baked it in an ovenproof, cast iron pot that had been pre-heated with the oven. The results are gorgeous. Let’s hope it tastes as good as it looks. Also you should probably know, I couldn’t get molasses so used honey, didn’t have most of the seeds so just used caraway and doubled that, and used lemon instead of orange zest. I think my starter is a bit runnier than yours is, and also am baking in South Africa, where the room temperature might be a little higher. Anyhow, still very relieved, as I’ve heard most first sourdoughs are a total disaster and was expecting to struggle more than I did. 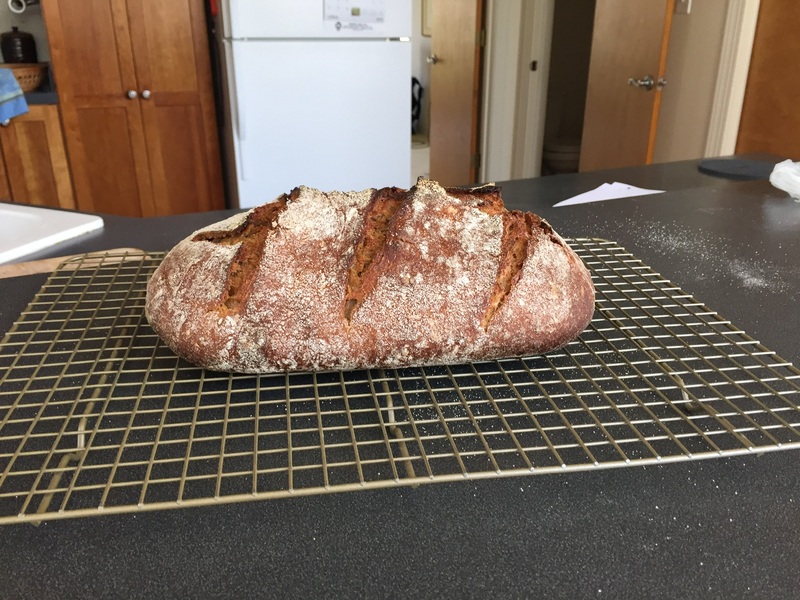 Thanks for this blog, your recipe, and the helpful videos. Tastes good. I’d probably like it more if it were sourer but that’s probably something I can work on with the spices and the starter. 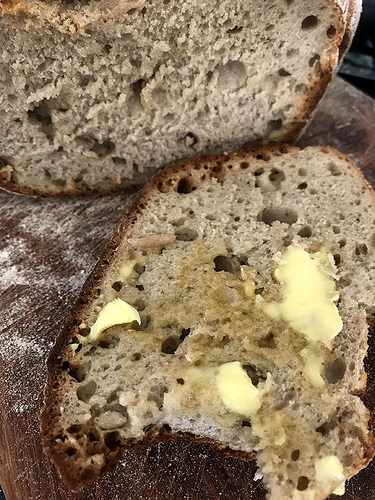 Has anyone tried this recipe with 100% rye flour? I loved this bread, but my wife did not. The flavor of the orange zest and anise seed was too much for her. And yes, this is a wet, sticky dough. Rye is always sticky, I have been told. I made it at 84% hydration and the overnight ferment was really more than needed. Nevertheless, shaping was not too difficult, and the bake in a covered clay baker, turned out very well. I used Bob’s Red Mill Dark Rye Flour at 84% hydration. 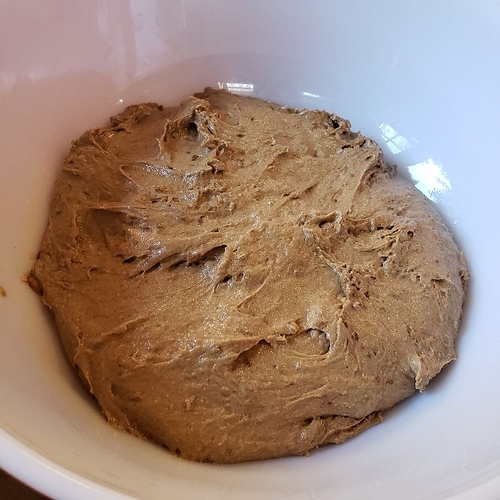 Yes, the dough is wet and sticky, but if you build surface tension into the loaf during shaping, you should get good oven spring and a nice loaf of rye bread. @kingfisher500, the rye bread is one of my favorites BUT I have made modifications to it as my husband did not care for some of the flavor profile of the molasses, orange, fennel and anise. He wanted something more “traditional” tasting. I grew up with NY rye and/or Jewish rye. He grew up with Swedish rye, more of a Limpa rye. When baking this recipe, I leave out the molasses, orange zest, fennel and anise. Instead I just add more caraway seeds. 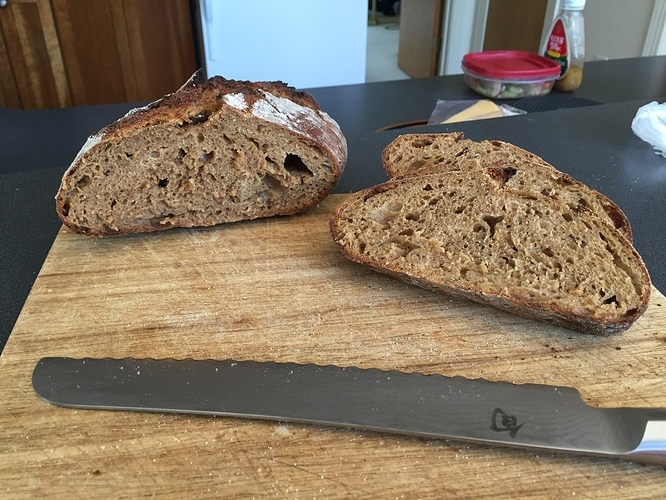 The resulting rye bread comes out with a flavor profile that is more similar to what I grew up with, a NY rye. It works for us! 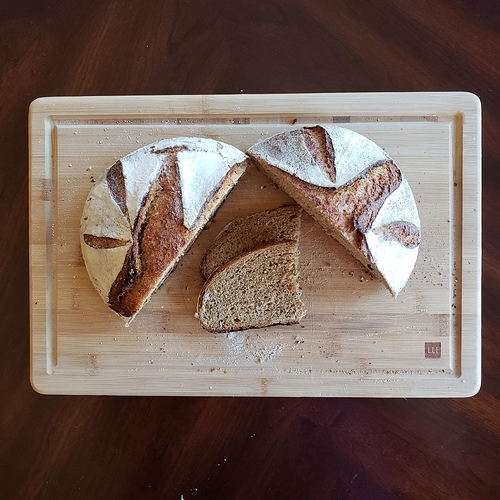 Maybe I’ll try to make a more Swedish rye at some point, maybe…LOL!